It is if you need a mortgage, because all mortgage lenders require such protection for an amount equal to the loan. It lasts until the loan is repaid. As with mortgage insurance, it protects the lender but you pay the premium, which is a single-payment made upfront. The required insurance protects the lender up to the amount of the mortgage, but it doesn’t protect your equity in the property. 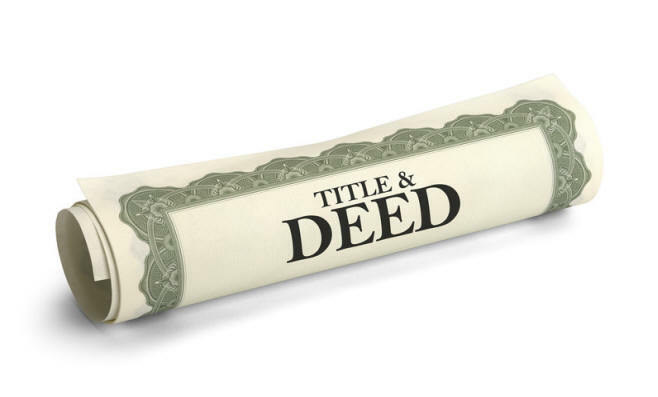 For that you need an owner’s title policy for the full value of the home. In many areas, sellers pay for owner policies as part of their obligation to deliver good title to the buyer. In other areas, borrowers must buy it as an add-on to the lender policy. It is advisable to do this because the additional cost above the cost of the lender policy is relatively small. Doesn't the Lender Policy Indirectly Protect Me? No, title policies are indemnity policies, they protect against loss, and a lender policy would only cover the lender's loss. Of course, the fact that the insurer issued a policy to the lender indicates that the title has been searched and nothing amiss has been found, but no search is 100% dependable. That is why an insurance policy is issued. With the exception noted later, title insurance only protects against losses from claims that arose prior to the date of the policy. Coverage ends on the day the policy is issued and extends backward in time for an indefinite period. This is in marked contrast to property or life insurance, which protect against losses resulting from events that occur after the policy is issued, for a specified period into the future. For How Long Is the Property Owner Purchasing Title Insurance Covered? Indefinitely. The owner’s protection lasts as long as the owner or any heirs have an interest in or any obligation with regard to the property. When they sell, however, the lender will require the purchaser to obtain a new policy. That protects the lender against any liens or other claims against the property that may have arisen since the date of the previous policy. For example, if the contractor you failed to pay for remodeling your kitchen places a lien on your home, you are not protected by your title policy; the lien was placed after the date of the policy. You will probably be required to get the lien removed before you can sell the property. But in the event the lien hasn’t been removed and a search has failed to uncover it, the new lender will be protected by a new policy. The standard policy does not, which is a weakness. Many events beyond your control can reduce the value of your house after you buy it. If it is a newly-constructed house, sub-contractors claiming they had not been paid by the builder may place a lien on the house. Identity theft can result in a new mortgage you know nothing about. A neighbor could build on your land without your knowledge, thereby adversely possessing and possibly eventually taking your land. Or you may suddenly be told that you must correct a zoning violation of the previous owner. To deal with these issues, a new policy with expanded coverage has been developed. I am told it is virtually standard in California and is available in many other states, perhaps at a small price increase. It is usually referred to as the ALTA Homeowner’s Policy. Does Title Insurance Coverage Rise With Increases in the Value of My Property? No, but coverage under the ALTA policy referred to above increases by 10% a year for the first 5 years after issuance, to 150% of the initial amount. You can buy additional coverage as a rider to the policy. If your policy does not have such a rider and your property has appreciated sharply in value, you may be able to purchase additional coverage on the same policy by paying an incremental fee. The fee should be modest because no new title search is involved. The coverage will only apply to title defects that existed prior to the original date of the policy. To extend the coverage to events that may have clouded the title since the original policy, you would need to take out a new policy with a new search and pay the full rate. Why Do I Need to Purchase a New Policy When I Refinance? Subject to state law, insurers generally offer to extend the existing policies of borrowers who refinance at a discount from the standard premiums. The periods for which the discounts are available vary by state, ranging up to 15 years in Massachusetts. BE SURE TO ASK FOR THE DISCOUNT, IT MAY NOT BE OFFERED IF YOU DON'T. Does the Fact That Title Insurance Companies Pay Out Very Little in Claims Indicate That it Is Overpriced? No, it may be overpriced, but not for that reason. Because title insurance protects against what may have happened in the past, most of the expense incurred by title companies or their agents is in loss reduction. They look to reduce losses by finding and fixing defects before the policy is issued, in much the same way as firms providing elevator or boiler insurance. These types of insurance are very different from life, property or mortgage insurance, which protect against losses from future events over which the insurers have no control. Are Title Insurance Premiums Fair to Low-Income Borrowers? Probably they are more than fair. Most title insurance costs arise in preventing loss rather than paying claims, and prevention costs are not much different for a small policy than for a large one. Despite this, premiums are scaled to the amount of the mortgage or the value of the property, which suggests that smaller policies may be under-priced and larger policies overpriced. Does Title Insurance Guarantee Me That I Will Be Able to Sell My Property If An Unforeseen Claim Arises? No. Title insurance does not prevent loss of marketability due to a title claim, any more than fire insurance prevents fire. If a claim arises, you probably won’t be able to sell your property until the claim is settled by the title insurer. The interest of the owner and the insurer may clash in such cases. The owner usually wants settlement immediately, whereas the insurer wants to minimize the cost of settlement, which may require time-consuming negotiations with the claimant. Why Are There Such Large Variations in the Cost of Title Insurance in Different Parts of the Country? One major reason is that the services covered by the title insurance premium vary in different parts of the country. In some areas, the premium covers not only protection against loss but also the costs of search and examination, as well as closing services. In other areas, the premium covers protection only, and borrowers pay for the other related services separately. To complicate it further, in some states the charges for title-related services are paid to title insurance companies, which perform the functions but charge separately for them. In other states, borrowers may pay attorneys or independent companies called abstractors or escrow companies. Of course, what matters to the borrower is the sum total of all title-related charges. These also differ from one area to another in response to a variety of factors. The 50 states have 50 different regulatory regimes, which affect charges. So do local costs, competition in local markets, and other factors. This is a largely unstudied segment of the economy that would make a nice PhD dissertation for a student in economics! Does a Borrower Have the Right to Purchase Title Insurance on Her Own? Yes, although few exercise it. Most leave it up to one of the professionals with whom they deal – real estate agent, lender or attorney – to select the carrier. This means that competition among title insurers is largely directed toward these professionals who can direct business rather than toward borrowers. However, this has begin to change with the development of the internet, and one new insurer has emerged to market directly to borrowers. See Buying Title Insurance on the Web: Entitle Direct. Borrowers who seek a mortgage on this web site from a Certified Network Lender can also price and buy title insurance from Boston National See Why Shop Here: Shop for Third Party Services. If a Borrower Does Shop For Title Insurance, Would it Pay? Perhaps. It is difficult to generalize because market conditions vary state by state, and sometimes within states. I would certainly shop in states that do not regulate title insurance rates: Alabama, District of Columbia, Georgia, Hawaii, Illinois, Indiana, Massachusetts, Oklahoma, and West Virginia. You would be wasting your time shopping in Texas and New Mexico because these state set the prices for all carriers. Florida also sets title insurance premiums but not other title-related charges, which can vary. In the remaining states, the situation is murky and it may or may not pay to shop. Insurance premiums are the same for all carriers in “rating bureau states”: Pennsylvania, New York, New Jersey, Ohio and Delaware. These states authorize title insurers to file for approval of a single rate schedule for all carriers through a cooperative entity. Yet in some there may be flexibility in title-related charges. More promising are “file and use” states – all those not mentioned above -- which permit premiums to vary between insurers. The question is further complicated by the fact that title agencies, which actually write the policies and receive most of the premium as commission income, may share their commission with borrowers in some states. The fact that all the insurers in a state charge the same premium doesn't necessarily mean that all the borrowers in the state pay the same premium. It is a good idea to ask an informed but disinterested local whether it pays to shop in the area where the property is located. Just keep in mind that those likely to be the best informed are also likely to have an interest in directing your business in the direction that is most advantageous to them. Are Title Insurance Premiums Deductible? Under existing rules, they are not. If the tax code was logically consistent, however, premiums paid by borrowers on lender policies -- those that protect only the lender -- would be deductible. The same is true of mortgage insurance. See Are PMI Premiums Deductible?